A New Braunfels vacation is a favorite choice for Texas getaways because of its many outdoor activities including tubing on the river, the famous Schlitterbahn Waterpark, extreme sport options and more. 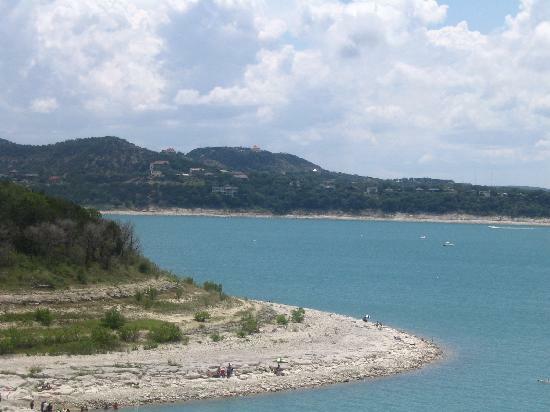 Being 30 miles North of San Antonio and 46 miles South of Austin, it is a central base for a romantic weekend or any kind of Hill Country Getaway. This town was founded by Prince Carl of Solm-Braunfels, Germany. It was settled by German immigrants in the 1840s and this is still evident in the architecture, food and festivals, such as Wurstfest. 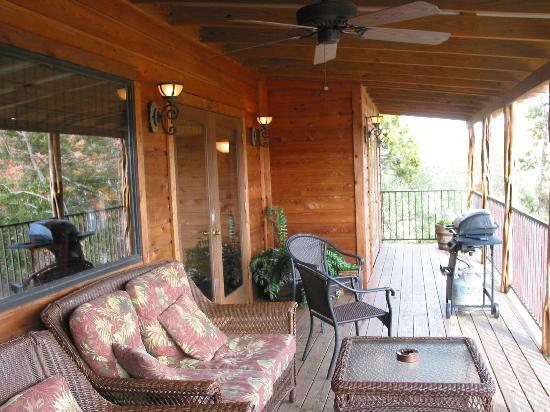 Check out our separate page for condos, homes and cottage rentals. For a New Braunfels vacation for the family and a cheap hotel option, you might consider one of the many chain hotels here such as the Comfort Suites, Sleep Inn or Hampton Inn ....all include free breakfast. 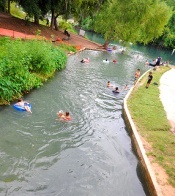 Right on the Comel River, the Hideout on the Horseshoe is a great place to stay for tubing. Sit on the balcony outside your door and enjoy watching the other tubers go by. Cabins and grounds are clean and the staff very helpful. 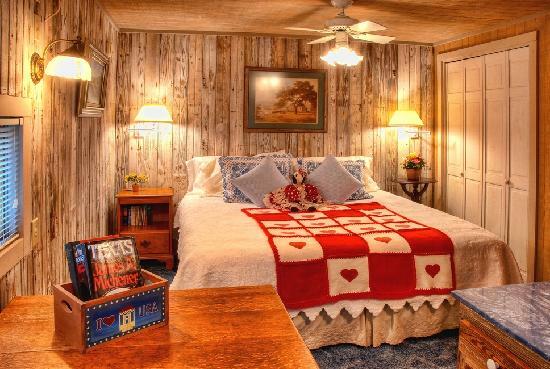 Great choice for romantic getaways in Texas, Texas girlfriend vacations, honeymoon getaway or Texas family vacation. John Newcombe's Tennis Ranch - come for the tennis pros and plentiful tennis courts including true hard clay ones. The food is plentiful here...don't expect a country club or luxury but to work hard and improve your game! 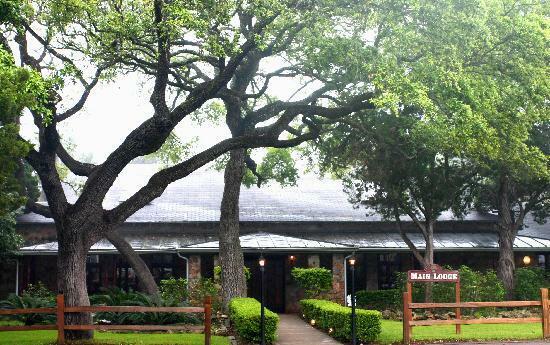 "It's all about the tennis"
Lamb's Rest Inn is a contemporary Inn with lavishly decorated rooms and several levels of decks going down to the river, pool and hot tub....nice for a romantic Texas getaway. Kuebler Waldrip Haus & Davnville Schoolhouse B&B - Two beautifully restored pioneer buildings in 43 scenic acres just minutes from fabulous shopping, two rivers, live music , restaurants, wineries. Kuebler Waldrip Haus has 5 rooms and 5 baths (some with a jacuzzi). Danville Schoolhouse building now has 5 rooms and 5 baths (one with jacuzzi), full kitchen, covered porches. 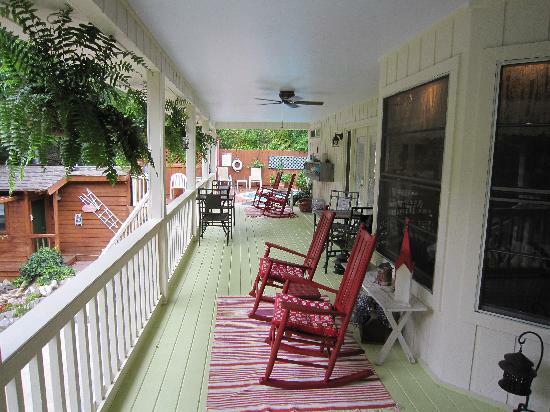 Deer Haven Cottage (950 sq. ft.) has 3 bedrooms. 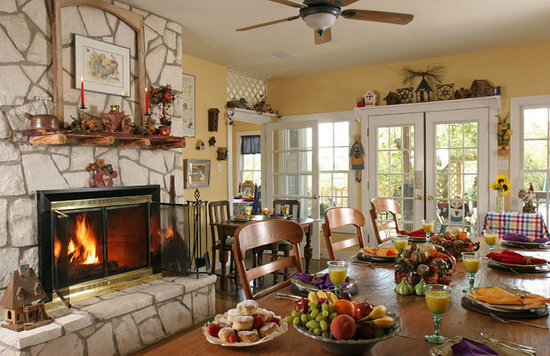 Reviews and rates for New Braunfels Bed and Breakfasts. 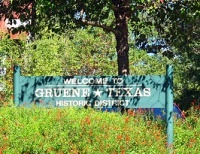 Gruene antique Company across from Gruene Hall has 8000 sq ft of antiques and at Gruene General Store you will find lots of fun collectibles, vintage items, food items, souvenirs and more. For a romantic weekend treat, try the Liberty Bistro and for great ribs there is Bar D BBQ. The Freiheit Country Store is a downhome friendly, slice of Texas with great burgers and hand cut fries. Union Street Station, a great place for breakfast is filled with train memorabilia. 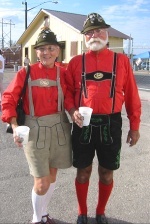 For German food on a New Braunfels vacation, try the Freisenhaus with its traditional German dishes and live music. 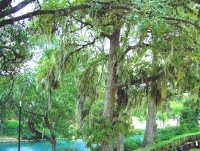 In Gruene, eat at the Gristmill. It overlooks the river....be sure and ask for a table close to the river. 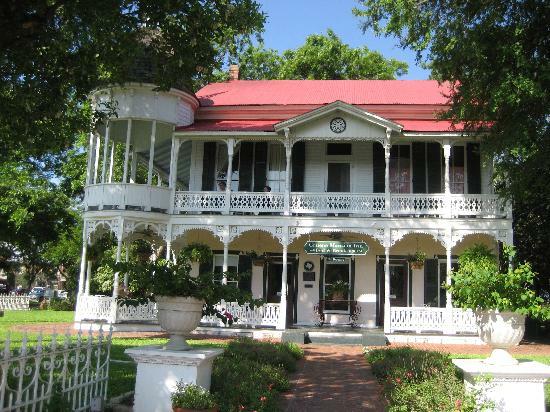 Have you been to New Braunfels? Do you have a favorite place to stay or attraction that everyone should know about?